Return on Investment (ROI) is one of the most fundamental measurements of investments, and it has been used to compare investments for a long time. There are many usages of ROI, and due to its simplicity, it can be used to compare performance and evaluate progress. Broadly speaking, ROI is used to measure the efficiency of one particular investment, either on its own or in comparison to other investments. The concept is that you compare your return or profit from an investment with the invested amount to understand the value of the investment. ROIs are always measured in a specific time frame. ROI is the single most important KPI you should use as a day trader and investor. This means that you need to understand exactly what ROI is. In this article, we’ll explain to you what ROI is, and then we’ll give you some great tips on how you can maximize your ROI using leverage. ROI is the relation between the amount you’ve invested in one security and the profit of that investment. It’s a percentual value that has many different uses and by calculating the ROI, you answer several questions about the value and efficiency of your investment. It can also, to some extent, be used to predict the future results of investments. Return on investment is one of the most fundamental metrics of any investment, and it’s used by traders but also by business owners to evaluate their investments in a certain project. Compared to many other ratios and metrics, ROI is easy to understand and it can be used to quickly compare different aspects of an investment. Due to this, ROI is one of the first measurements that investors learn how to use and something everyone strives to maximize. Before we start providing examples of how to maximize your ROI we thought we’d explain how you calculate ROI. As mentioned, the return on investment is the relation between profit and the invested amount and it’s easy to calculate using the following formula. So to get the ROI of a specific investment, you take the total value of the investment you’ve made and minus the invested amount to get your profit. Then you take the sum of that (profit) and divide it by the invested amount. We’ll use an example to better explain it to you. Let’s say you’ve invested $10,000 with a cryptocurrency broker. One year later when you decide to sell the cryptocurrency, the value has increased to $13,000, meaning you’ve made $3,000 in profit, but what’s the ROI? This is how you would calculate that. That means your ROI was 30% for the above example during one year, which is a very good ROI that anyone should be happy with. One of the main reasons why investors calculate return on investment is to compare it with other investments. Let’s say that at the same time as the above-mentioned example, you also invested $10,000 in a company’s stock. If after one year that investment had grown to a value of $15,000, it would mean you had an ROI of 50%. Then, you would instantly know that your stock investment was more valuable than the cryptocurrency you had invested in. However, there are certain limitations to ROI that you need to be aware of. When you compare the return on investment of several investments, you should stick to the same time frame because otherwise, the results will differ. For example, in the above example, the stock investment had an ROI of 50% in one year compared to a cryptocurrency that had an ROI of 30% in the same year. If instead, the stock investment grew from $10,000 to $15,000 in five years, the ROI would still be 50% but the yearly ROI would average 10%, meaning the cryptocurrency did better. It is in every investor’s interest to maximize ROI since it means that you get as much back as possible for every invested dollar. So how do you maximize your ROI? Well, maximizing ROI is the basic idea behind any investment strategy. You want to find the investment that will get you the most profit in the shortest amount possible, even if it’s a long-term investment. That being said, we think there are two ways that one can try to really get as high of an ROI as possible. The most obvious way to maximize ROI is to find great value in the market. Your job as an investor in general is to find the best investment available based on your goals and then invest the right amount of money. 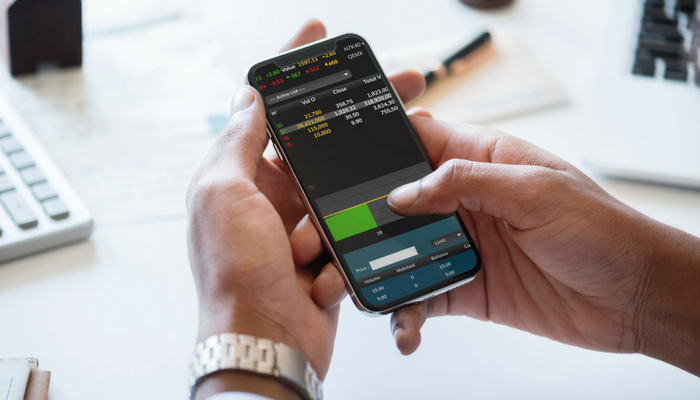 Whether you’re evaluating the stock market using technical analysis or a fundamental analysis or scouring the forex market in search of a solid investment doesn’t really matter. Always strive to find value in the market and never invest unless you feel very comfortable that it’s a good decision. The best way to maximize ROI is to use leverage and, in our opinion, the best form of leveraged trading is CFD trading. Leverage is a way to increase your investment power by receiving a margin from a broker that lets you gain profit from funds you don’t actually own. A margin is basically a loan from the broker. If you had used 2:1 leverage in the stock example above, the calculation would have looked different, and your ROI would have been much higher. 2:1 leverage means that you invest $10,000 and the broker lends you an additional $10,000, meaning your total investment is $20,000. When you sell the stocks one year later, that investment is worth $30,000 and after you pay back the broker the $10,000 you borrowed, you’re left with $20,000. That means you’ve doubled your ROI from 50% to 100% and maximized your ROI. Note that leverage works both ways and if the security you invest in declines in value, you end up owing the broker money instead. If you want to try and increase your ROI using CFDs we suggest you get started with one of the following brokers. They are the best in the business and they are also completely regulated which means that you and your invested money are kept safe. 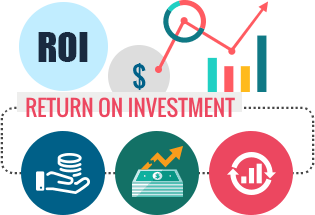 Social return on investment (SROI) is a newly developed version of ROI that has become increasingly more popular. The difference between ROI and SROI is that SROI includes metrics that regular ROIs do not. For example, SROI includes social and environmental metrics that are not connected to the included financial accounts but that add extra value to the calculation. Generally speaking, SROI is used to predict the efficiency of an investment before the investment is made. For example, will tax refunds change investor behavior and pump extra money into a security, thus pushing the price up? Return on Investment is a fundamental metric used to evaluate the efficiency of an investment, and it’s used to compare different investments with each other. ROI has been used for a long time and is a well-established concept in the world of investments. Naturally, there is an interest among investors to maximize their ROIs which can be done in several ways. Try using a Trading Platform. 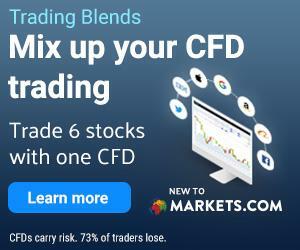 According to many, the best way to increase ROI is to trade CFDs using leverage since it allows you to profit from the invested money you don’t actually own.